Modular Homes - What Are The Benefits? Modular homes are prefabricated houses that consist of multiple modules, or sections. This method of building by section requires a different type of construction referred to as modular building. Constructing a home in “modules” might sound like the opposite of traditional home construction — and it is! Just because a modular home isn’t built from the ground up doesn’t mean it’s any less of a home. 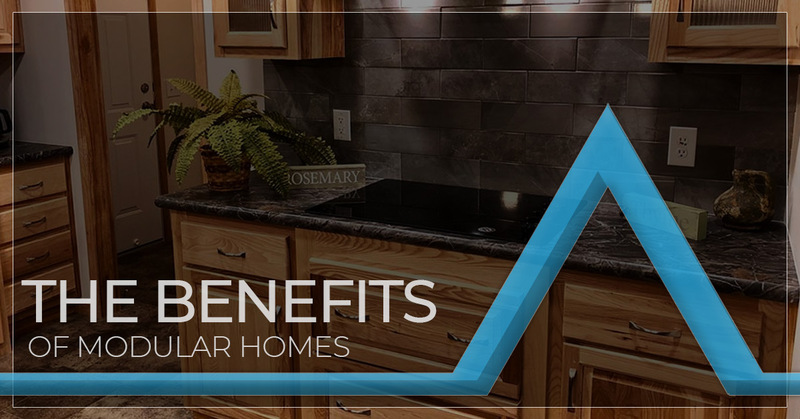 This innovative form of home building comes with a host of distinct benefits. Perhaps the best benefit of modular homes is that they come with thousands of different possibilities for home configuration. Usually getting the “custom home” of your dreams comes with a million-dollar price tag, but not with modular homes. You can browse floor plan options before you buy or design your own floor plan with the help f a builder. Additionally, you can choose exterior features like siding and window style to suit your taste. Perhaps the best part of modular homes is that you can choose the flooring, countertops, bathroom fixtures, kitchen amenities, and basically any other home feature you can think of. You get the personalization of a totally custom home with the affordability and efficiency of a mass-produced item. if you’ve ever bought a home, you know the absolute headache that the home inspection process can be. You might have your eyes set on a home, only to find that it has unsalvageable mold damage. With modular homes, on the other hand, you get a pre-inspected and regulated home. Before a modular home builder can even construct a home, they must be approved in the state where they will be sold. A third-party home inspection agency also inspects the home in the plant, so they are 100 percent ready and reviewed when it comes time to buy. Because a modular home is built in a factory, it benefits from energy-efficient construction techniques that just aren’t possible outside. Builders can add sealants and caulk in ways that traditional builders can only dream of. Think about electrical outlets and fixtures. These areas are some of the prime culprits of heat loss. Traditional builders cannot access these features to seal them. Modular home builders, however, can easily work on the walls surrounding electrical outlets to properly seal them. Additionally, modern modular homes are build with 2 x 6 framing for walls which allows for much more insulation to be placed within the wall. If you pictured a thin, flimsy modular home, this couldn’t be further from the truth. Anything is made faster when economies of scale are at play. Just as it’s much easier to manufacture a thousand cars than to build a custom vehicle, it’s way faster to build a modular home than a traditional one. Indeed, modular homes typically take one-third of the time versus a construction site. If you want a home to live in within a few weeks of purchase, a modular home is undoubtedly the way to go. It seems too good to be true that modular homes can be built faster and better than site-built homes, but it really is true. Because they are made in a factory, modular homes benefit from factory-grade tools that construction crews just cannot wield. This makes for stronger all-around builds. Are you intrigued by the benefits that modular homes can offer you? Are you a first-time home buyer looking for an affordable option, or a down-sizing couple looking for a more efficient space? Whatever your reason, buying a modular home offers tremendous benefits. Cannon Homes Inc. is a modular and manufactured home builder serving Salem, Mount Vernon, Marion, and all of Southern Illinois. Browse our homes on display and call for more information today!